Potentially interesting – but what’s going on? This was a good workshop. 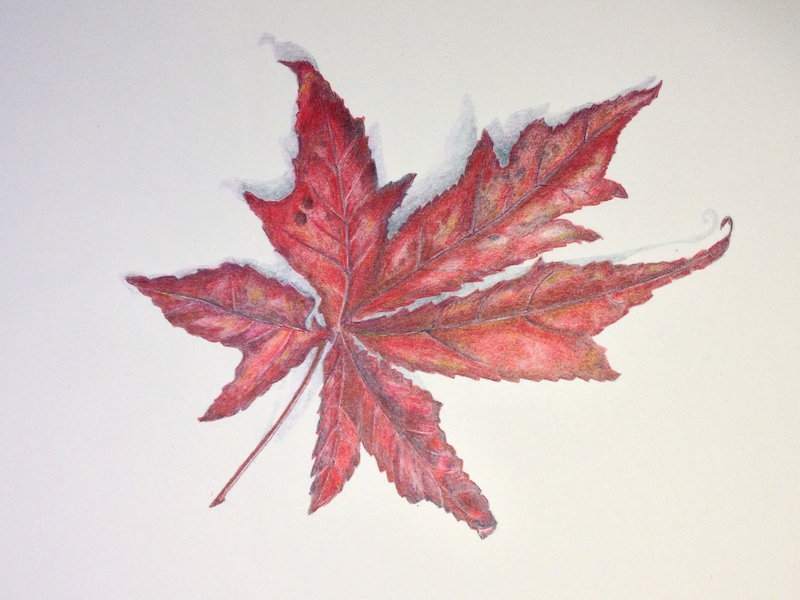 I needed to do only a few demonstrations, and none of them were in relation to laying on the colour. 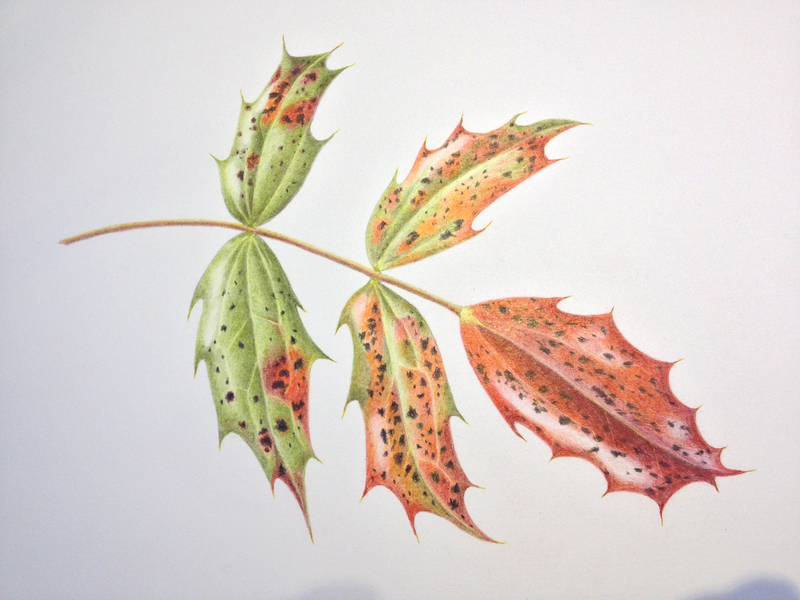 However, we did talk a lot about ‘form’ and how to achieve this and what needed to be in a botanical art picture. 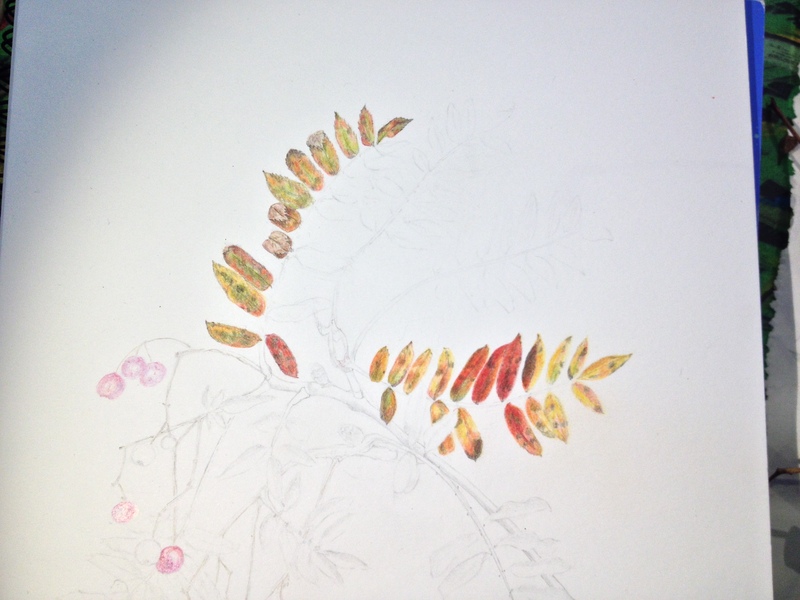 I also have several dried Teasels in the studio, so the next obvious question was, how to draw these ready to paint. A lesson on Fibonacci ensued. Enjoy the following pictures from this workshop. The two pictures started last Monday on the SFP workshop will probably require no more than simple adjustments if necessary. 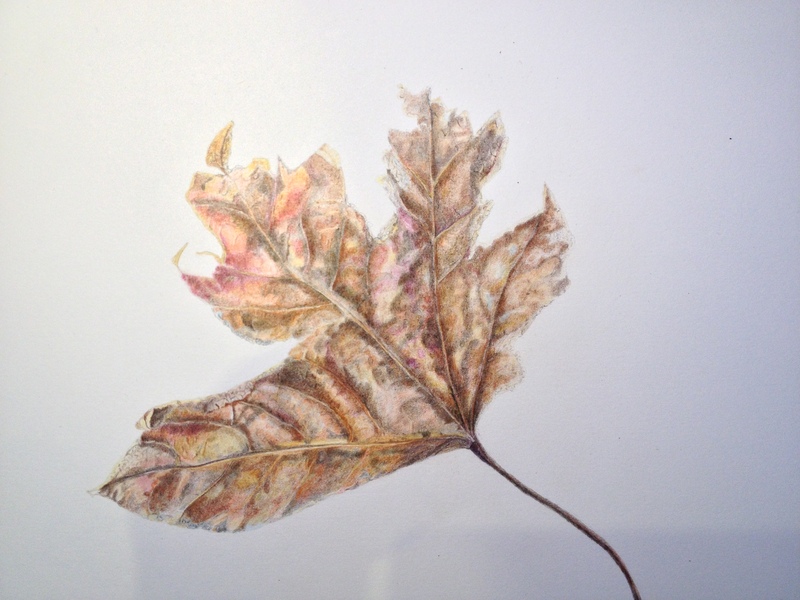 There are two pictures with Liquid amber leaves – but the styles are hugely different and work. 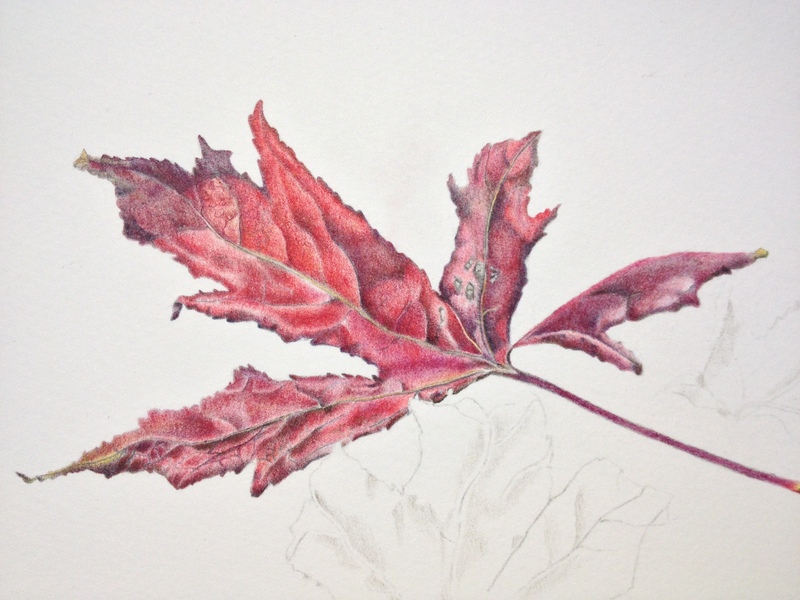 The Sorbus picture will take a while to come to completion with all the tiny leaves and detail. 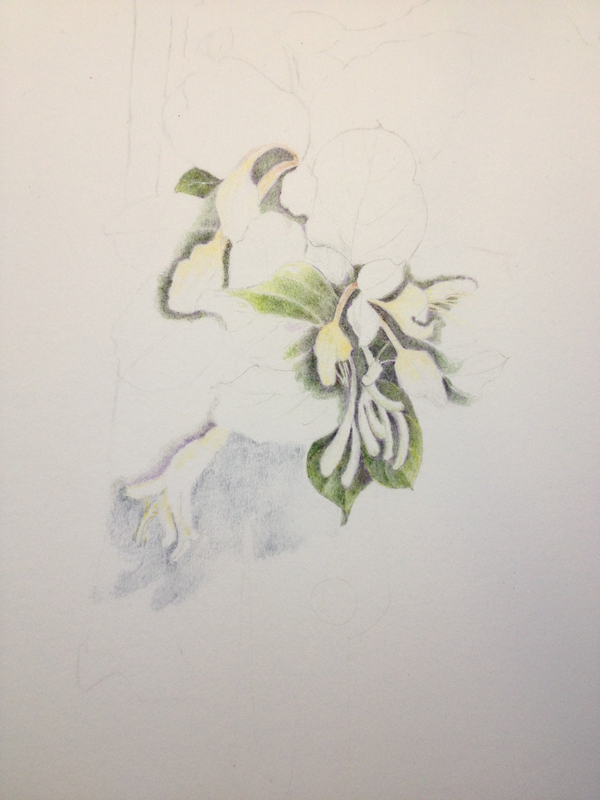 The honeysuckle has needed a lot of planning and thinking ahead, more of the basis work is in place and now she can just carry on painting the rest of the picture.